The opening of Lee Bul’s exhibition at the at the Hayward Gallery in London has been postponed after one of the works spontaneously combusted. 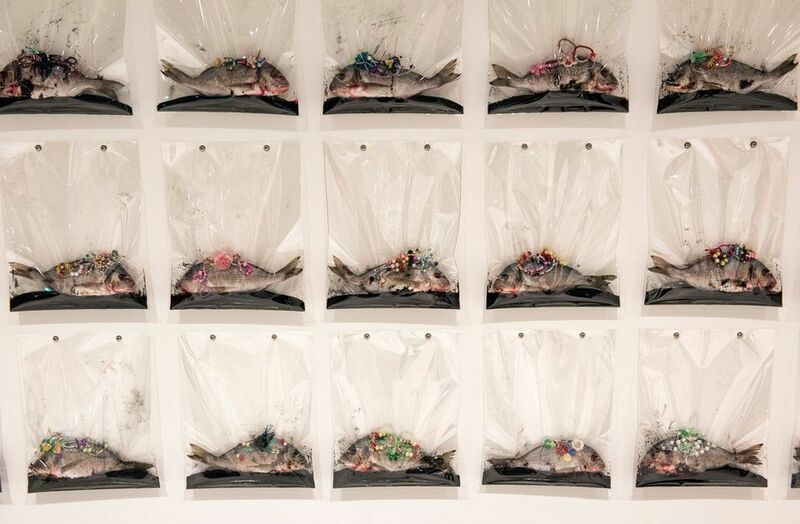 The South Korean artist’s installation Majestic Splendor (1991-2018), which is made of sequinned rotting fish, caught fire when it was being removed from the show. “Expert advice received indicates that the fire was probably caused by preserving agents used in the artwork,” a spokeswoman says. In 1997, Majestic Splendor was removed from display at New York’s Museum of Modern Art because the stench of the fish made visitors felt nauseous. The installation was therefore modified for the Hayward Gallery show for health and safety reasons. The fish were placed in sealed plastic bags with potassium permanganate—a compound commonly used in water treatment. While it is not flammable, it increases the flammability of other combustible materials. “Following expert advice regarding the materials used in Lee Bul's Majestic Splendor we took the decision, along with the artist, to remove the artwork from the exhibition,” says a gallery spokeswoman. “During the de-installation, a small fire broke out and the fire service attended. Superficial damage was sustained in a confined section of Gallery One,” she adds. The show’s private view (29 May) was cancelled a little more than an hour before several hundred guests were due to attend. Lee has transformed the Hayward Gallery into what is billed as a spectacular dream-like landscape. “We are now undertaking remedial cosmetic work and will reopen to the public on Friday 1 June when we look forward to welcoming our visitors to this wonderful exhibition,” a spokeswoman says.